I love reading fiction set in Las Vegas. It’s always a treat to see how authors portray the city and its residents, and it’s always fun to see whether they get the details right. Thursday night, I had the great pleasure of meeting an author who gets far more than details right in her new novel. 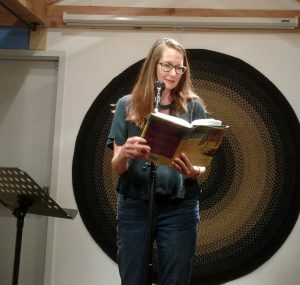 Heather Skyler recently read from Vegas Girls at The Writer’s Block downtown. I finished reading the book this morning. It’s that kind of book—from page one, I was drawn into the lives of the characters. Adding to its appeal is that it’s set in the Las Vegas locals actually live in. 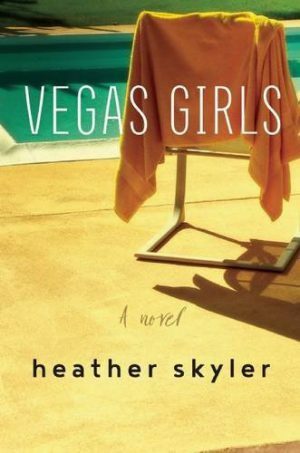 Skyler paints an authentic picture of the city whose stereotypes are so inescapable that many authors use Vegas like a stock character. Born and raised here, Skyler knows Las Vegas as only a native can. Along with the compelling story, Las Vegas emerges as a real, multifaceted city. All of its well-known features are here, but what’s wonderful is that all the details and nuances that often elude drop-in writers are here, too. Skyler has created a fictional landscape that more accurately captures Las Vegas than many nonfiction narratives do. Her characters also ring true. The story follows three women who were friends in high school. Now in their thirties, they reunite in Las Vegas. The story moves forward through the eyes and thoughts of five characters, revealing each woman’s past, present, secrets, and challenges. Realistic and authentic, the story is smart, honest, and surprising. Skyler’s prose, at times poetic, is layered, fluid, and smooth—a total pleasure to read.